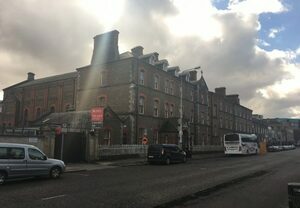 Posted in Misc and tagged Magdalene Laundry at 9:41 pm on September 13, 2018 by Bodger. No, they haven’t secured that memorial yet… with luck it will be social housing. …they’ve only stopped the sale. It is another vacant site in the city, that will now remain vacant. That’s the spirit my love! Now turn it into much-needed city apartments. Preferably social housing. But still, SDs managed to virtue-signal to their base (without actually achieving anything tangible for their constituents), and surely, isn’t that the real victory? Fair play. The next step should be for it to be reconstructed internally to turn it into homes for people displaced and homeless because of G-entrification by thr 12.5% brigade’s minnions. A memorial to the women who slaved there should also be part of the redesign, and it should be renamed appropriately.